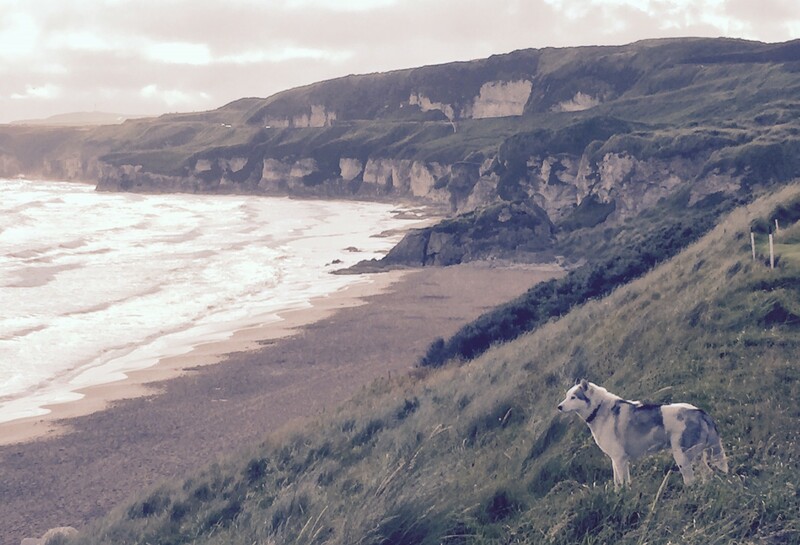 Royal Portrush Golf Club Blog – Page 3 – Keeping you updated with all things course related! Phase 2 works have been moving along nicely as well as our winter work programme which has meant that the course staff have been as busy as we would be mid summer, as a result, apologies for the lack of posts recently. Despite wide spread frost through the UK and Ireland we have remained relatively unaffected. 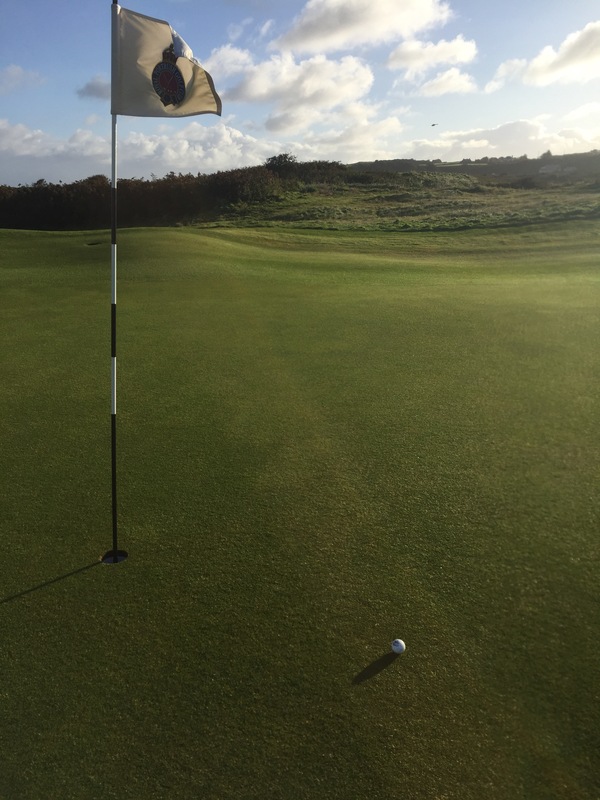 The courses have been very busy throughout the Christmas period which has resulted in additional wear to the links. 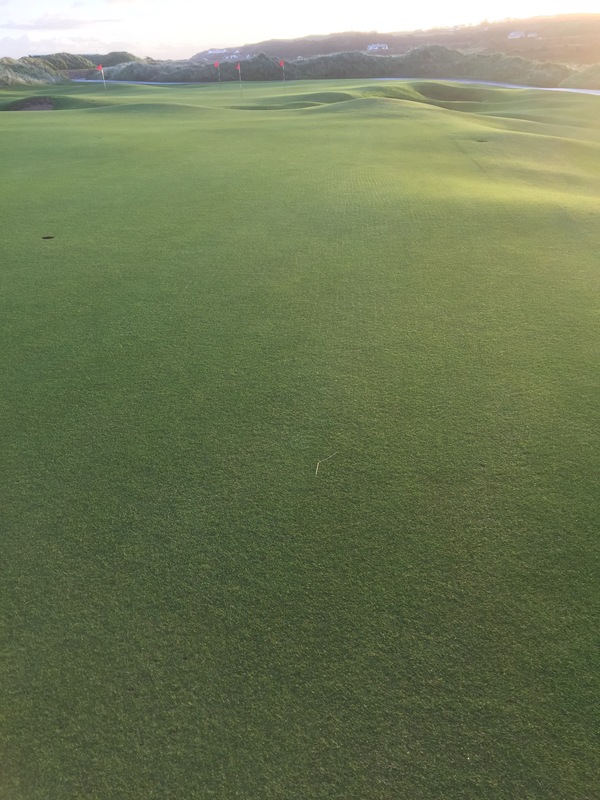 The new Dunluce Greens 2 & 10 have been rested and as a result have strengthened and density has returned. 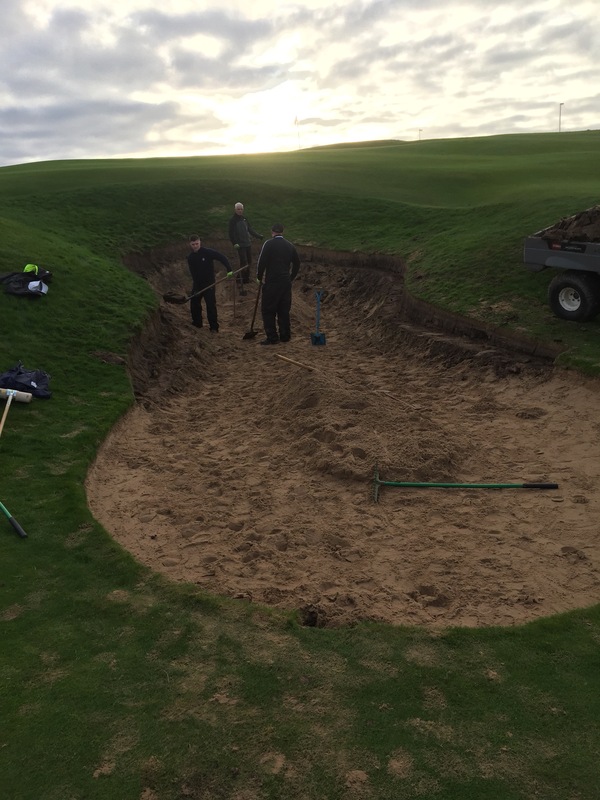 We have concentrated on bunker repairs, re-turfing work and tee levelling. 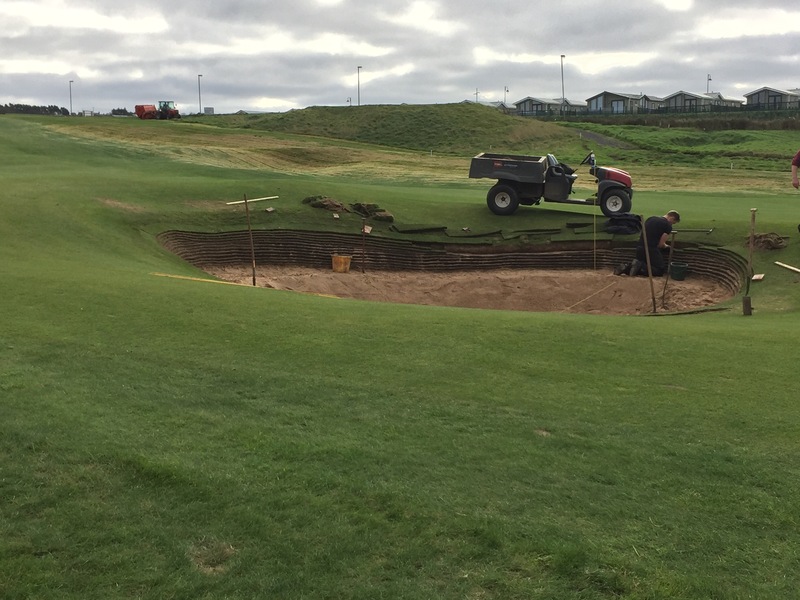 Also the Valley 15th green was lifted, re-contoured and re-laid using the old Dunluce 17th green. 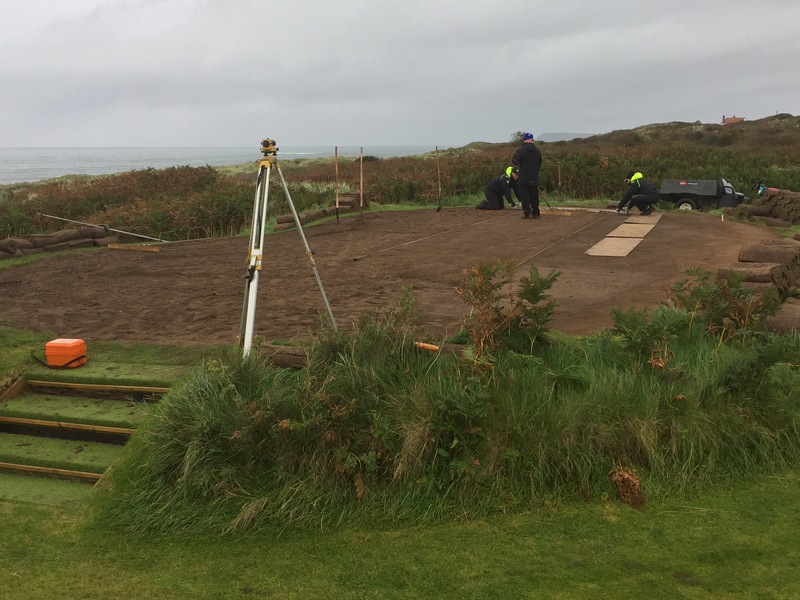 Work still to be completed include greenside bunker on Dunluce 14th, 2x greenside on Valley 15th and some removal of bushes. 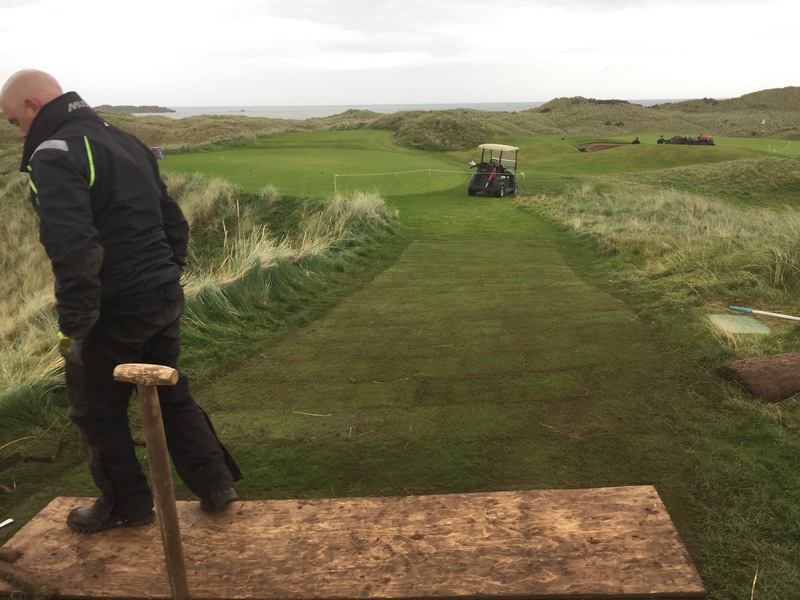 New steps to new tees on Dunluce and the Valley. Completion of new drinking fountains and completion of spectator villages before road surfaces are finished with tarmac. Works on the new roads are likely to be complete for May but all sections within the course will be done first. Although the very wet and windy end to the year has not been ideal golfing weather, this has given the golf course a rest. Mats will again be in play from the 1st of January for use on fairways and semi rough. After another busy year and with some good progress made we look to 2018 when we host the Boys Championship in August. 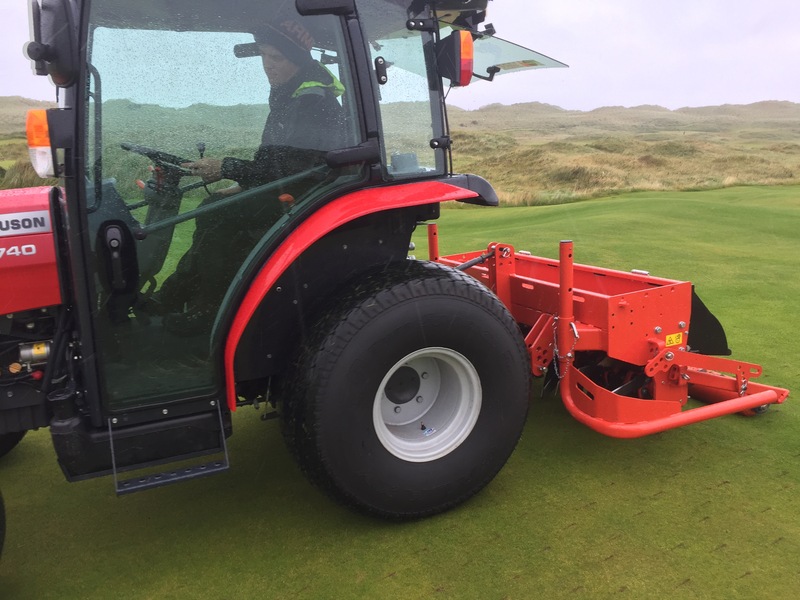 The course setup requirements are the same as the Open Championship, so for us, the greenkeeping team this will be a great chance to set up and present the course in a similar way to 2019. 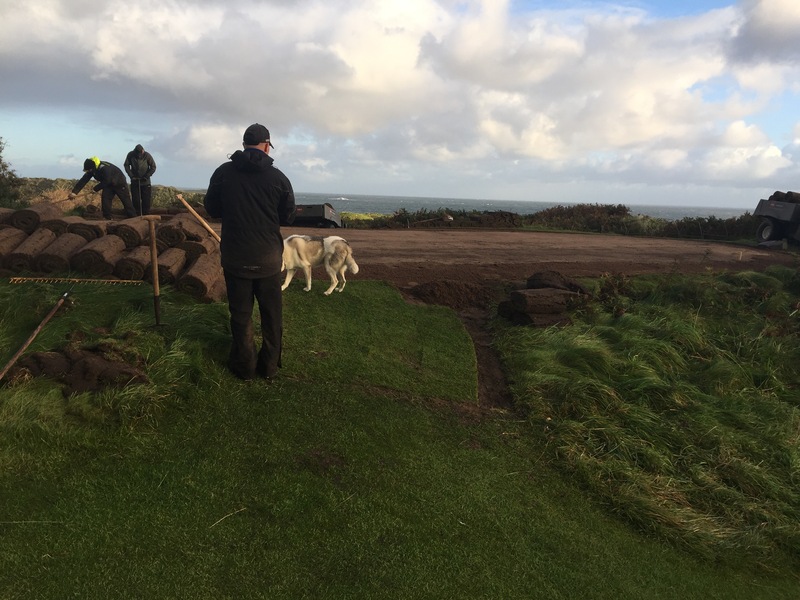 We have made good progress with our winter work programme with most of our larger re-turfing works completed January and February will allow time to build some steps and re-level and enlarge Championship tees on Dunluce 4 & 12 and also Valley 16th ladies tee. Here are a few pictures from the December works. Another productive week on the Course has seen more bunkers rebuilt on holes 4, 11, 13 and 17. Levelling work has continued well on the old 18th and the dry weather this week was a real bonus. Greens 1, 2 & 10 were today solid tined with a larger than normal 19mm tine to a depth of 7 inched before holes were filled with dry sand. This will improve firmness, dryness and general turf health by breaking compaction and creating fissures and channels for new roots to develop. 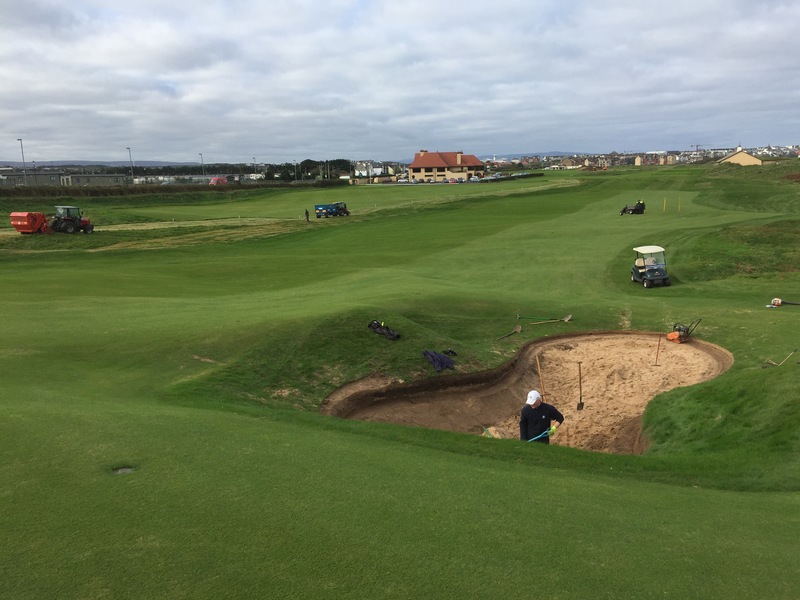 See below, some of the before and after pictures of bunker work this week. 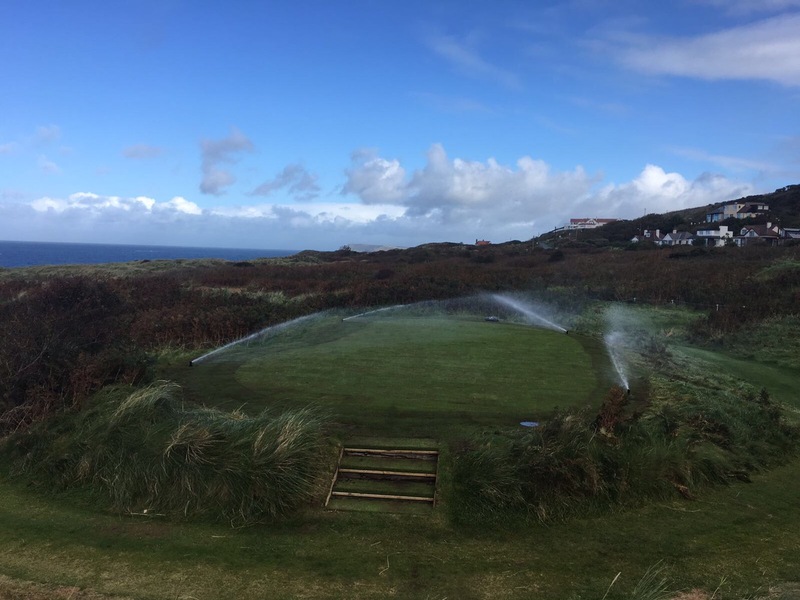 The green surround on Dunluce 4th was lifted, reshaped and re-turfed with better quality turf, making the levels flow better and also improving the quality of grass there. 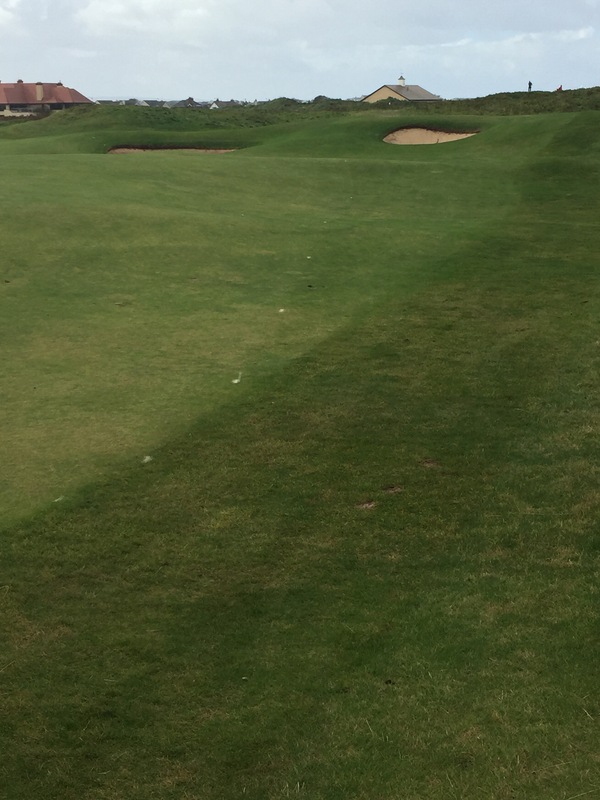 There is a large area between the Dunluce 13th and 15th greens which was poor generally. The shape of the ground was disrupted by mole ploughing work and as it is close to both greens we decided to lift this and repair. 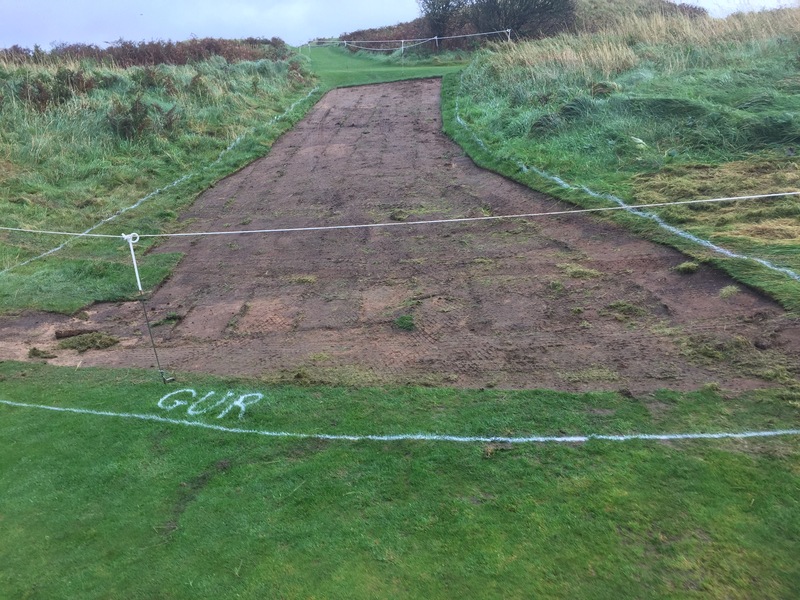 The area will be re-turfed using the Dunluce 17th fairway with will knit with the surrounding area well. Greenkeeping must be the best job in the world when the weather is, as it has been this week. The sun has shone for most of the week and yesterday some of us were working in polo shirts, unusual for this time of year. Even though the weather has been so good, we plan to switch play to some of our winter teeing positions from Monday next week, which will give our summer tees some much needed rest. Bunkers on the 1st have all been either re-built or edged. Bunkers on the 2nd hole are to be done next week. Greenside on the 15th has been revetted and turfed, the base of the bunker will be dished next week before adding sand. 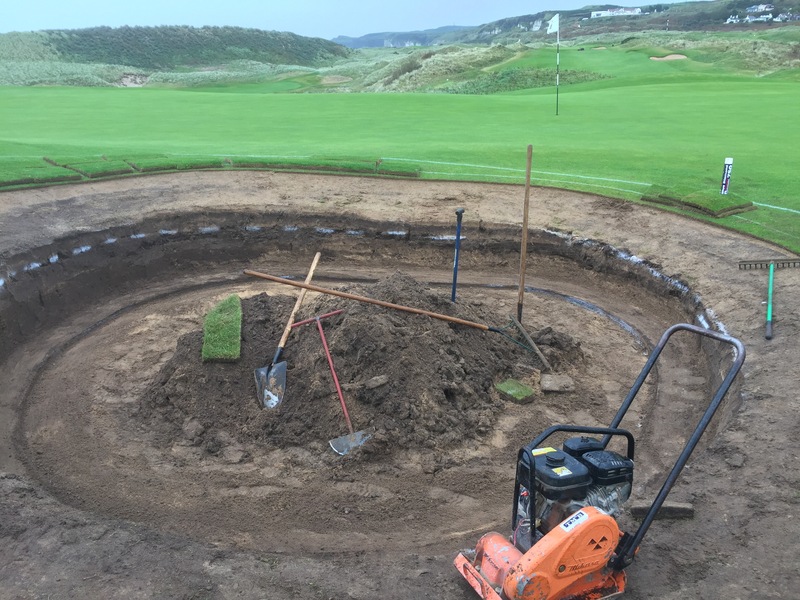 Most of our repair work has been carried out to grass paths and the remaining areas which have been stripped of turf will be finished using a harder wearing imported fescue/rye turf. Construction work is going well with all of the bushes now removed between old 17th & 18th. The pile of earth which you will see is to be re-spread once sub grade levels are achieved. 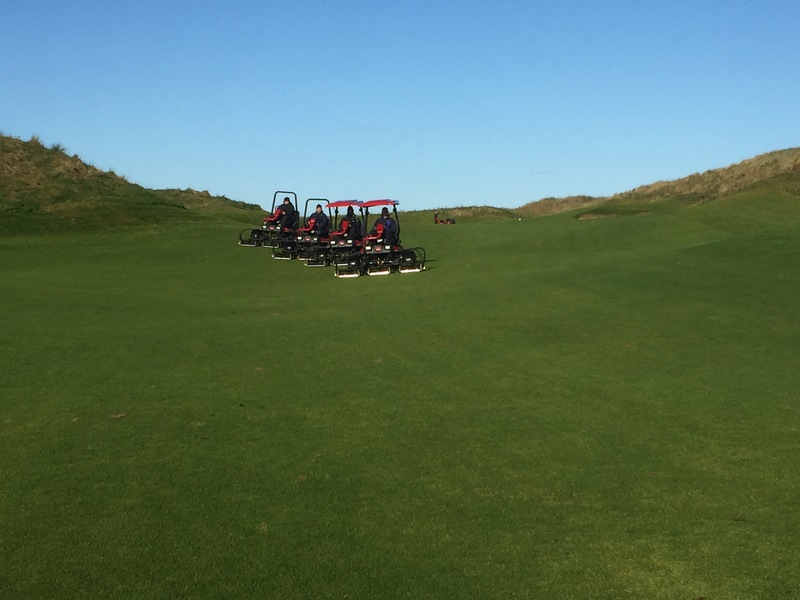 Simon and Trevor have been working hard with our rough management, cutting and collecting and also completing our last bits of seeding work on Dunluce. The weather has been so mild that soil temperatures remain warm enough for good germination so instead of having seed stored over the winter we have over-seeded all of our new fairways and green surrounds using our dimple seeder. Phase 2 work and winter work programme underway. As the golfing season begins to slow down on the Links we are now able to focus our attention towards the winter work programme as well as begin phase 2 of our course amendments. The work that the Greenkeepers have done this year has been phenomenal but the job itself never really slows down as we have gone from one of our busiest seasons straight into an intense winter programme of works. 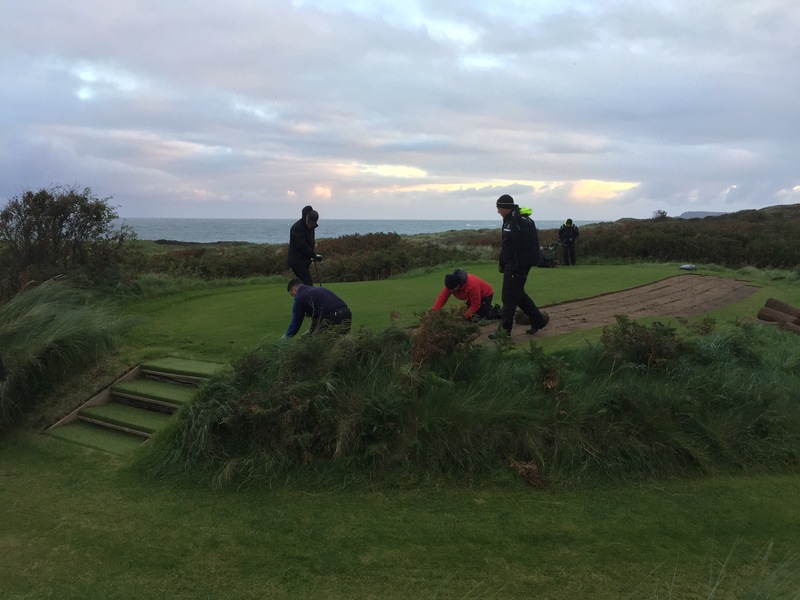 The focus for the greenkeeping team this winter is the bunkers as most of the existing bunkers on the Dunluce Links shall be rebuilt as well as re-turfing of all worn areas throughout the courses. 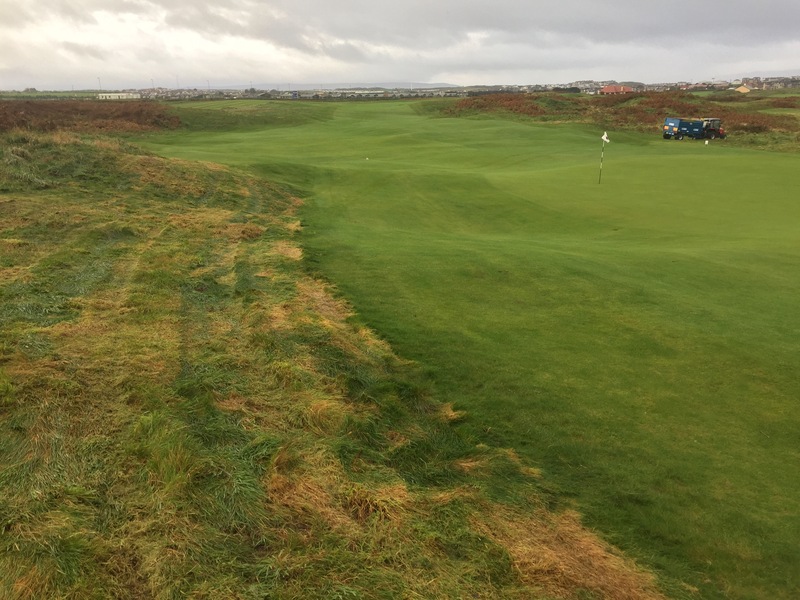 Rough management is also one of our main projects, of which we plan to complete the main part by early November but rough management will be ongoing throughout the winter. New areas must be cut and collected before topdressing. Some good work done this week. Dunluce greens have recovered well from over-seeding and topdressing with good germination seen throughout the course. It must be one of the most satisfying jobs for a Greenkeeper to see more fine leafed grass establishing well and improving the botanical composition. The 18th fairway has been reshaped with the right hand side brought in to encourage players to drive down the main part of the fairway. We plan to hollow time the new rough area tomorrow and over-seed with a seed rough mix which will create some better definition. The 5th ladies tee was lifted on Tuesday, rotovated and screened level before re-turfing today. The tee looks as it was before but as the surface is now level we can use the whole teeing ground for marker placements thus better spreading the wear. 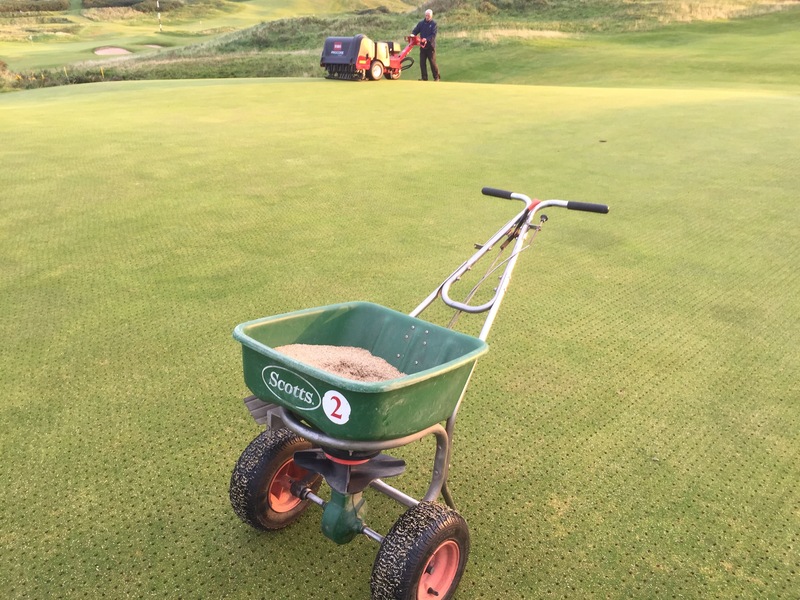 A great effort was made last week to solid tine, sand and seed all Dunluce greens and practice greens. This was a brilliant effort by the team as work was done throughout the week avoiding visiting players and putting surfaces were true again by the time visitors approached. 300kg of fescue seed was worked into the surface so the mild spell of weather at the moment is very welcome. Some 115 tees were hollow tined, sanded and seeded and localised areas of fairways were also seeded. 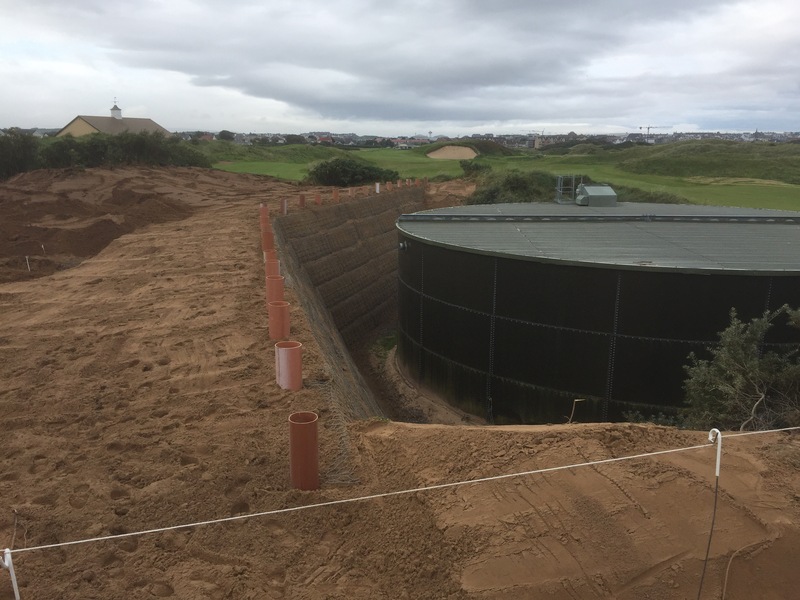 Retaining walls by the irrigation storage tank are now complete with only some finishing work remaining. The pipes have been left on the surface of both retaining walls to allow for installation of the railings to finish the job. As the daylight hours are reducing the turf growth begins to slow and recovery of turf wear slows down also. 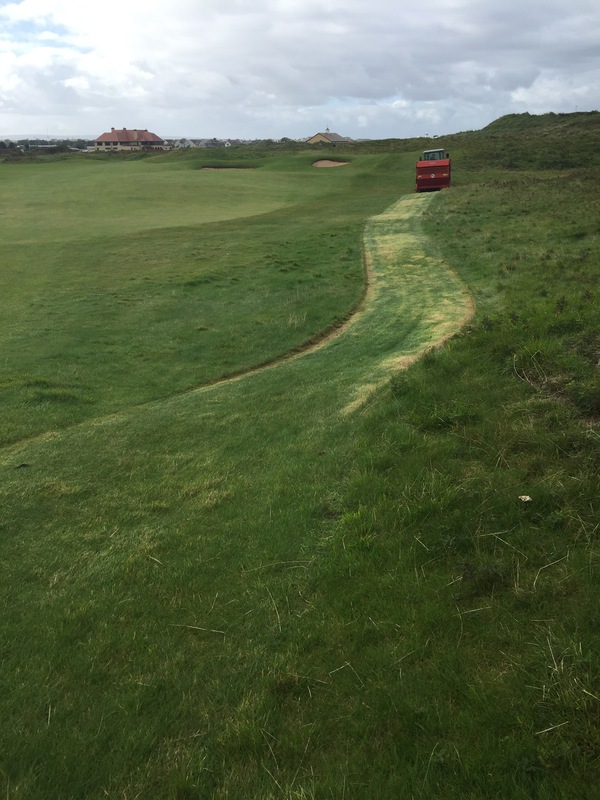 To reduce excessive wear to localised areas we plan to rope off grass paths and other localised areas in early October, adding more ropes towards the end of the month. This is a really important job and the benefits will be seen through next season.